This is a snapshot from the 1972 newspaper that had daily columns with pictures of captured American airmen, giving the B-52 a human face and dispelling myths about its vaunted invincibility. 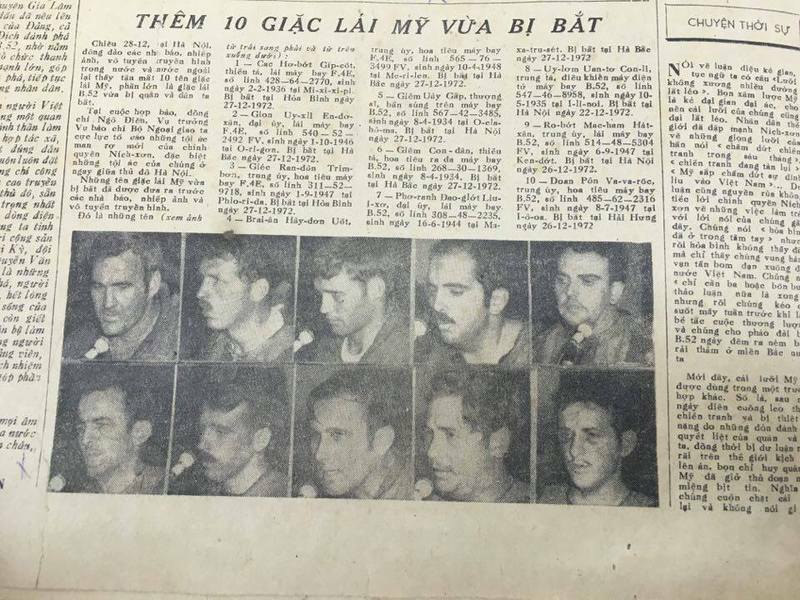 The caption says: "Another 10 flying pirates captured". Vik Nguyen, “Photos of some captured US airmen in the Vietnamese newspaper during Linebacker II,” The Evolution Debates / America in the Cold War World, accessed April 18, 2019, http://coldwar.collopy.net/items/show/124.